The digital revolution would not have been possible without the hardware to support it. The past 30 years has seen a transition from exclusivity to Bill Gate’s “PC on every desk”. The next few decades will see a continuation of the mobile revolution that has seen us move away from the deskbound hardware to embrace tablets, smartphones and hybrid devices. Commodore launches the Commodore 64 for approximately $595 but that fell quickly causing a pricing war. It becomes the bestselling computer model of all time. The Cray XMP is produced. GriD System Corporation creates the first battery-powered laptop. Suddenly the PC goes from “personal” to “portable” computers. Compaq Computer Corporation is founded and releases an IBM-compatible portable. IBM launches a double-sided 320KB floppy disk drive. Hayes launches Smartmodem 1200. Apple launches the first personal computer with graphical user interface Lisa, which runs on Motorola 68000 microprocessors and comes with 1MB of RAM, a 12-inch black and white monitor and dual 5¼-inch floppy drive. Thinking Machines Corporation (TMC) is founded to develop a new supercomputer. The first machine is called The Connection Machine (CM- 1). Compaq Computer Corp launches the first PC clone which runs the same software as an IBM PC. Musical Instrument Digital Interface (MIDI) is launched as an industry-standard electronic interface to link with music synthesizers. Sony releases 3.5-inch floppy disks. A momentous year for Apple as it introduces the Macintosh with graphical user interface (GUI), making PCs more accessible to non-technical people. The product is launched with a now-infamous single $1.5m commercial during the Super Bowl. Applications installed include MacPaint and MacWrite which uses WYSIWYG (what you see is what you get) word processing. IBM launches PC Jr and PC-AT. PC-AT is based on the Intel 80286 chip and includes a high-density 1.2MB 5¼-inch floppy disk. Hewlett Packard launches LaserJet printers. The first Dell Computer launches. Introduction of the 32-bit 386 microprocessor, 100 times faster than 4004 chip that allowed multitasking. CD-ROMs are introduced by Philips in collaboration with Sony. They can store 270,000 papers of text. Expanded memory for PCs launched by Lotus and Intel. Commodore releases Amiga 1000 with a Motorola 68000. This is the first home PC with multitasking Operating system using Macintosh-ish GUI. 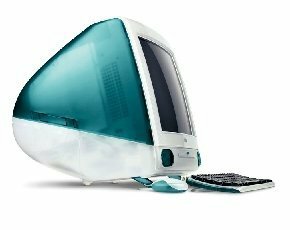 Apple releases the Macintosh Plus with ability to hold 4MB RAM and upgradeable SIMMs. It also has a built-in SCSI adapter. Apple also releases the Macintosh 512Ke which comes with a double-sided 3.5-inch floppy disk drive. Amstrad launches the Amstrad PC 1512 with CGA graphic adapter, 512KB RAM, 8086 processor and optional 20MB hard disk. They are sold in high street shops to both homes and businesses. 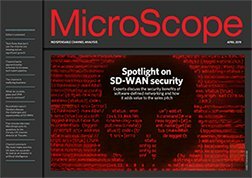 IBM and MIPS release first RISC-based workstation PC-RT and R2000 based systems. The number of PCs purchased worldwide is 64 million. Macintosh II and Macintosh SE is launched. SE is based on the 68000 with internal and external SCSI adapter. It also offered ability to display colour with a 3rd party video card. The II is based on the Motorola 68020 running at 16 MHz and comes with SCSI adapter. Acorn Archimedes is launched by Acorn Computers as the first home PC based on ARM architecture. It uses RISC design with 32-bit CPU. Recordable CD discs are introduced. Apple cofounder Steve Jobs launches NeXT. Although the computer isn’t considered a success, it is the first PC to incorporate a drive for optical storage disk, built-in digital signal processor allowing for voice recognition and object- oriented language to simplify programming. IBM PS/2 286 launched by IBM and based on the 80286 processor. Intel launches the 80486 processor and i860 RISC/coprocessor chip. Creative Labs launches Sound Blaster Card. The number of PCs purchased worldwide is 120 million. PC manufacturers introduce laptops with MS Windows and Intel 386SL designed for mobile computer. Commodore launches Amiga 3000 with Motorola 68030 processor. Macintosh Classic and IIsi are launched. Apple launches the PowerBook laptop. CDTV is launched by Commodore with a CD-ROM drive and no floppy drive. IBM launches ThinkPad 700 business laptop. PowerPC 601 is launched, a collaborative venture between IBM, Motorola and Apple computer. Digital Equipment Corporation (DEC) launches Alpha AXP. The number of PCs purchased worldwide is 202 million. Intel releases the 75, 90 and 100MHz versions of the Pentium processor. The number of PCs purchased worldwide is 288 million. Intel releases 120, 133 MHz versions of Pentium processor. 3dfx releases 3D accelerator Voodoo. High-speed internet access becomes available over cable modems. Palm launches the Palm 1000 and 5000 devices. Digital Versatile Disc (DVD) is introduced at the Consumer Electronics Show. Nokia launches the 9000, smartphone. Intel releases 160, 166, and 200 MHz Pentium Processor. Sony starts selling computers again under VAIO (Video Audio Integrated Operation). Intel introduces the Pentium II processor. The number of PCs purchased worldwide is 497 million. Recordable and rewritable DVD discs introduced. IBM Deep Blue becomes the first computer to beat a reigning world chess champion. Diamond Multimedia Systems, Inc introduces portable MP3 digital music technology with Rio PMP 300. Compaq Computer Corp buys Digital Equipment Corporation. Intel releases 333 MHz Pentium II processor. Apple launches iMac with 15-inch monitor, 24x CD-ROM, 2 USB ports, 56k modem, speakers and Ethernet (no floppy). This is the pivotal model that saved Apple. The number of PCs purchased worldwide numbers 590 million. Apple launches the Power-Mac G4 with PowerPC G4 Motorola chip. Compaq begins to work with Microsoft on MSN companions. Sony Intel introduces Pentium III processor (1 GHz). Intel introduces the Pentium 4 processor. 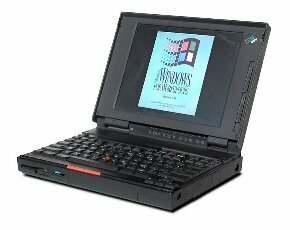 20th anniversary of IBM’s first PC. The number of PCs purchased worldwide is 961 million. Apple releases Mac OS X.
Intel introduces Mobile Intel Pentium 4 Processor-M allowing laptops to have desktop performance. The number of PCs purchased worldwide reaches 1 billion, according to Gartner Dataquest. RIM releases the first BlackBerry smartphone. Intel introduces Wi-Fi in their Centrino chip. AMD releases Athlon 64 built on K8 micro-architecture. USB flash drive becomes the device of choice for sharing media and data. iMac G5 is launched by Apple. Nokia releases Nokia 770 Internet Tablet running Maemo (open source). Intel releases Pentium D and AMD releases Athlon 64 X2, both dual-core 64-bit desktop processors. Core 2 Duo by Intel launched with more power than Pentium 4 and better performance. Apple launches the MacBook Pro, the first Intel-based, dual-core mobile computer. Intel releases Core 2 processor. Apple launches the first iPhone. Intel launches Core 2 Quad processors. Apple launches MacBook Air and the iPod Touch. HP launches HP 2133 Mini-Note PC. HP launches web-connected home printer. Compaq Presario laptop ends production (rebranded as HP2000 series). Microsoft launches Windows 7 phone. Apple launches iPhone 4, 4S and the iPad 2. Sony launches the Sony Tablet, which runs on Google Android. Apple launches the iPad mini. 3D printers become more accessible.